People's Lobby Portal | "Take the initiative." Grim Reaper of War seldom betters the world. 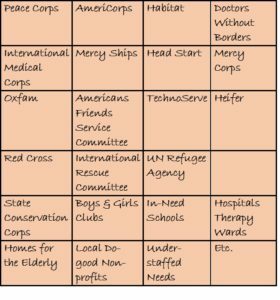 Serving builds... erases bloodshed & terrorism. 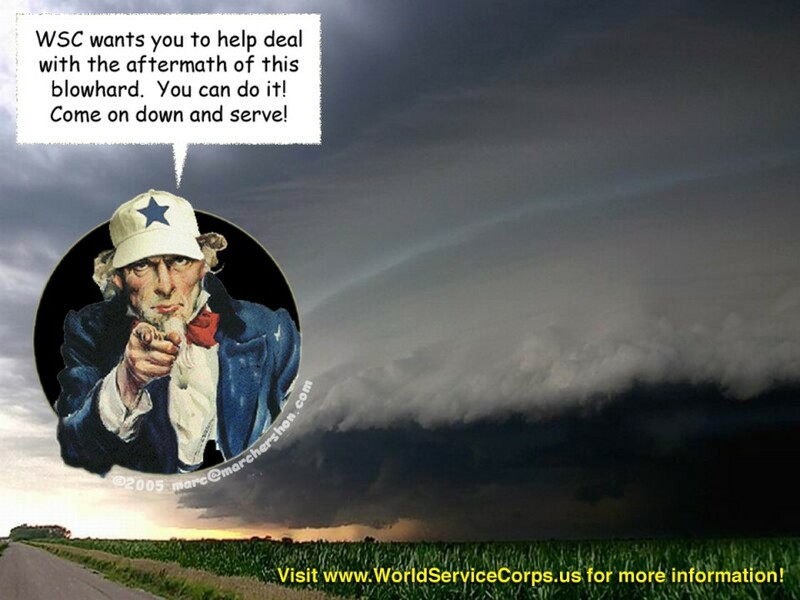 Bring Peace Corps & service knowledge home to raise our public policy IQ. Isn't it time to go BIG? Slowly rebuilding 3 web sites into a People’s Lobby portal. Be patient, or help. 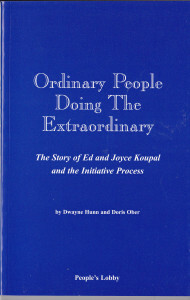 This People’s Lobby Inc. (PLI) web portal was inspired by the work of Edwin and Joyce Koupal, founders of People’s Lobby, pictured here in a Los Angels Times Editorial. LA Times pictures Joyce & Ed Koupal celebrating passage of Political Reform Act in alliance with Common Cause and Gubernatorial Candidate Jerry Brown. Nader placed it in his Top Ten Books to read in 2009. 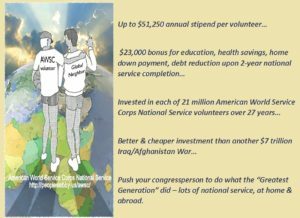 Presently, our primary goal is to have you help introduce and enact the robust, voluntary, paid, full-time American World Service Corps National Service (AWSCNS) Congressional Proposal. 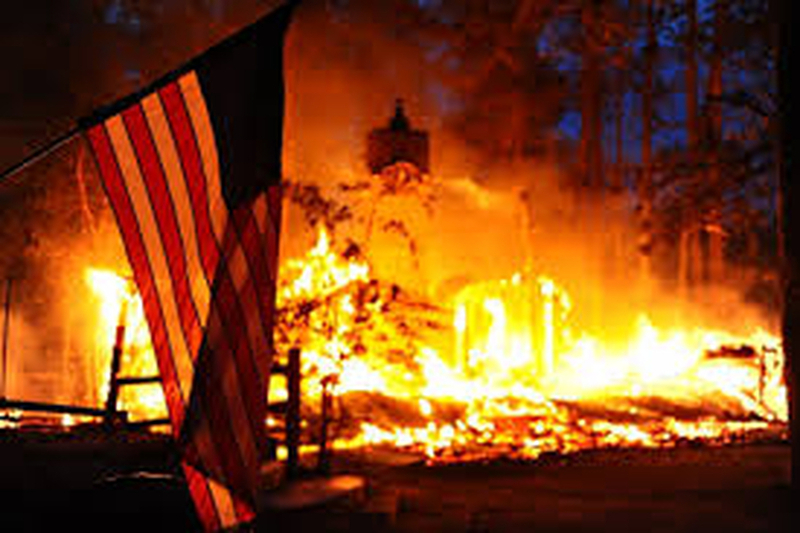 The AWSNC proposal eases the burden on our troops, helps address climate weirding and disasters, involves Americans in coming together at home and erasing the Ugly American images spreading abroad, raises our Public Policy IQ, and builds America’s greatness again. 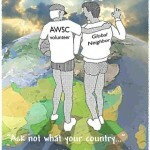 How do we build this AWSC National Service program? 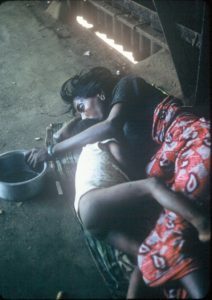 Invest, employ, & educate in peace. 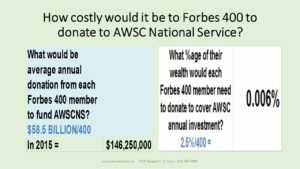 How can this ambitious, visionary , cost-effective investment in Americans be done without taxing any Americans, but instead relying on donated investments from our 680 billionaires and some multi-millionaires? Investing gently seven generations out? 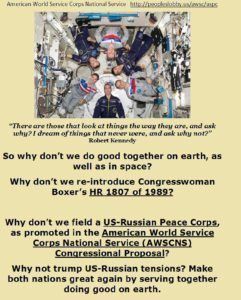 Promoted in the AWSCNS proposal are joint Peace Corps, such as People’ s Lobby Inc.’s (PLI) proposed US-Russian Peace Corps. Here you will also find PLI calling for the reintroduction of Congresswoman Boxer’s HR 1807 of 1989, which PLI influenced now Senator Boxer to introduce. The world needs it to be reintroduced — and PASSED. Presidents Trump and Putin want US and Russia to get along. 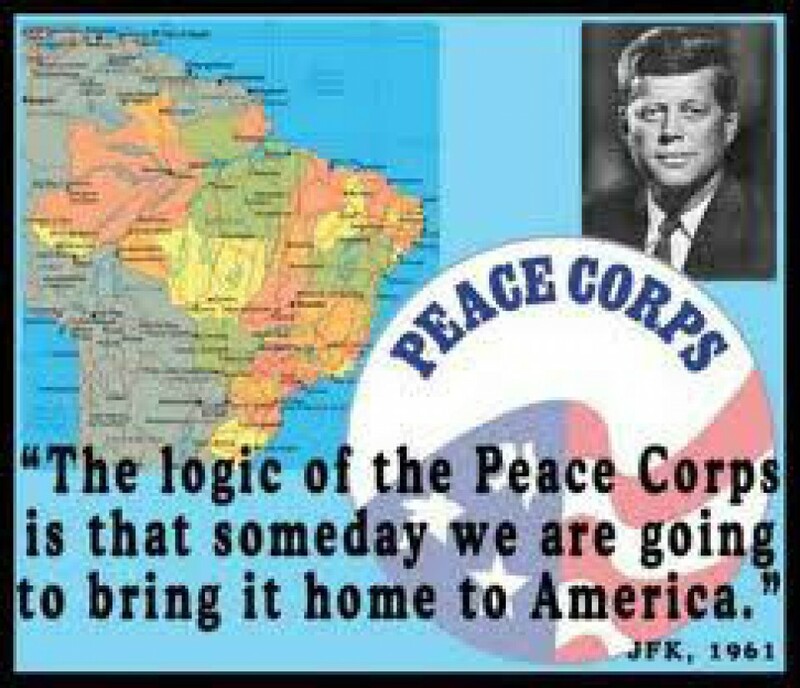 Imagine how well both nations will get along if tens of thousands from each nation serve, work, and room together as joint US-Russian Peace Corps Volunteers for a generation. This under re-construction web portal will also have projects undertaken due to PLI’s influence and serves as the site for PLI’s history, work, projects, as well as some of Dwayne Hunn’s work, etc. We are trying to make this the portal for files that were once at (worldservicecorps.us, peopleslobby.us, canalway.com, dwaynehunn.biz, and new.dwaynehunn.biz). If you can’t find something you earlier found at those above sites,keyword search some of the rebuilt links and you may find what you wanted. Thanks for your patience. To choose from 78+ related articles, click. 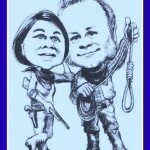 Try the social icon links on this page for more information.